When I shop for a new skin product, I always have a few important things I look for. There are so many different products to choose from so it can be hard to pick. That is where your list comes in handy! We have been working on giving you the best products to pick from through our reviews. 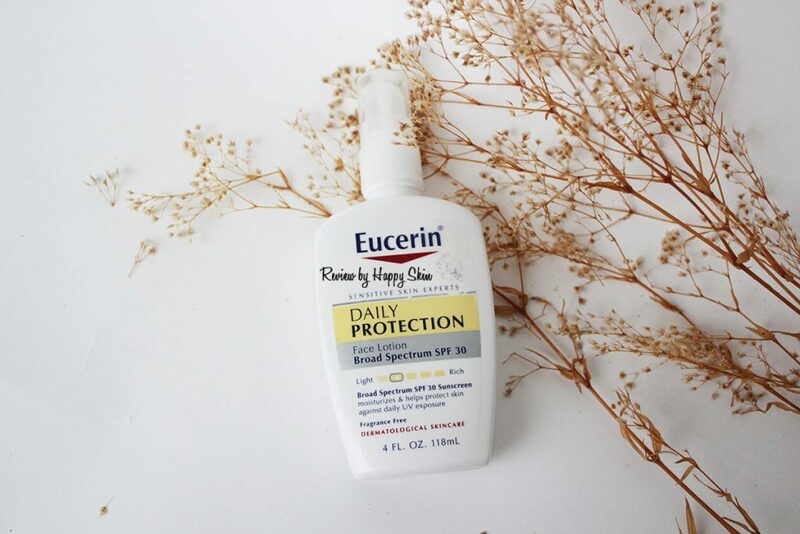 The Eucerin Daily Protection Face Lotion with SPF is the next product on our list. It is dermatologist recommended and meant to replenish, repair, and protect your skin. I think we could all use some of that in our lives! In this review, we want to give you all the details so you can figure out whether this is the right product to keep your skin healthy and beautiful! Like I said, everyone has different needs. There are quite a few things to consider about a product before purchasing. By breaking down the different features for you, I’m hoping to give you a better idea of whether this is right for you. I think it is very important to give you all the details. The good things as well as the bad. Since you know your skin best, you’ll have all you need to make an informed decision! Affordability: Eucerin makes this product very affordable! This might not be a big factor for everyone. But I am always considering the benefits right along with the prices. I don’t like to spend a ton on skin care if I can help it, unless it is absolutely necessary. If you have serious or medical needs, that can’t always be helped. But generally it can be easy to find a very affordable product like this one to match your daily needs! How to Use: This moisturizer can be used on a daily basis for replenishing moisture to your skin. It contains SPF to protect your skin from UVA/UVB rays that can cause skin damage. It is a wonderful sunscreen that contains SPF 30. All you have to do is apply this about 15 minutes before sun exposure and reapply about every 2 hours. It is very important to follow the instructions to protect your skin and maintain that protection throughout the day. Type of Skin: This product is dermatologist recommended because it is safe for sensitive skin. You can use it on all types of skin. Since it is also oil-free, it is perfect if you have oily skin. The lack of added oils help to moisturize without making your skin greasy or sticky. I have combination skin so that is something I always look for. I hate having greasy skin because I enjoy wearing makeup. Oily products can make it hard to apply makeup that won’t smudge! But the fact that this will give you all day hydration is perfect because I tend to have dry skin and moisturization is the key to keeping my skin healthy! Multiple Skin Benefits: There will be a whole list of the skin benefits in our features and benefits section. But we also wanted to give you a quick idea of the benefits here as well! This product provides you with all day hydration. It absorbs quickly so it can moisturize without making you greasy or sticky. It is lightweight, fragrance free, and works well for sensitive skin. Overall it repairs and enhances the health of your skin while protecting you from further sun damage with SPF 30! Being non-comedogenic, it does all of the above without clogging your pores. Making it a little easier to use without fears of breaking out. Scent: Being fragrance free, this product really doesn’t have a scent. You might be wondering why we even have this segment since that is the case. But being fragrance free is an important benefit of this product. Many people have a lot of issues and can’t use scented products. They really are a totally unnecessary addition to skincare products. But I did want to mention that it does have a sunscreen smell. Many of these fragrance free moisturizers with SPF smell like the chemicals that provide the sunscreen. Some customers did not enjoy the sunscreen smell that came with this product, but it should fade as it quickly absorbs into your skin. Drawbacks: There are really only a few minor drawbacks to this product. For one thing, it is not water resistant. So you can’t really rely on this as a sunscreen if you plan on swimming or working outside. This product will wash away with sweat as well as water. Another thing to take into consideration was the addition of the ingredient Octinoxate. Along with Zinc Oxide and Titanium Dioxide, it provides you with sun protection. However, Zinc Oxide and Titanium Dioxide sit on top of your skin to create a barrier. But Octinoxate absorbs into your skin. Some customers were put off by the addition of this ingredient because it is not exactly considered to be the safest sunscreen ingredient. Many of you use it already and aren’t as worried. But I think it’s really important to look for the safest ingredients with skin products. So I can understand the concern surrounding this particular ingredient. Well, if you’re looking for a dermatologist recommended product that is also backed by the The Skin Cancer Foundation, look no further! This product works for all skin types, even sensitive skin. SPF 30 is a very reliable level of sun protection for most people. Not to mention you will only need about a pump of this product to cover your whole face. So it will go a really long way for a 4oz container! That’s pretty awesome considering that this is a very affordable product and it will last a long time! These are only some of the things that stand out about the product for me. 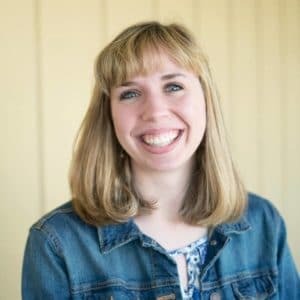 You might like to read about even more perks in the features and benefits section! Overall, this is a great product for pretty much anyone! If you have dry skin, you get all day hydration. If you have oily skin, this is perfect because it is an oil-free, non-greasy product. And since it has benefits that fit both skin types, I know it will work well for my combination skin! There are only a few drawbacks to this product that we touched on earlier in this review. I think the most prominent reason to reconsider purchasing this product is because of the ingredients. 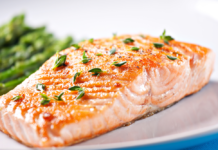 Many people have concerns about the addition of the ingredient Octinoxate. It has a higher level of toxins than some other options and I can understand how that would concern you. It is hard to find natural and reliable products and this is certainly not a natural one. So if that is something that is very important to you, I would recommend that you consider some other options. You also may want to consider the fact that this product is not water resistant. So you can’t use it like a normal sunscreen to go swimming or when you’re working hard enough to sweat. But if this is just meant to serve as a daily moisturizer or simple sun protection, that won’t been too much of an issue. 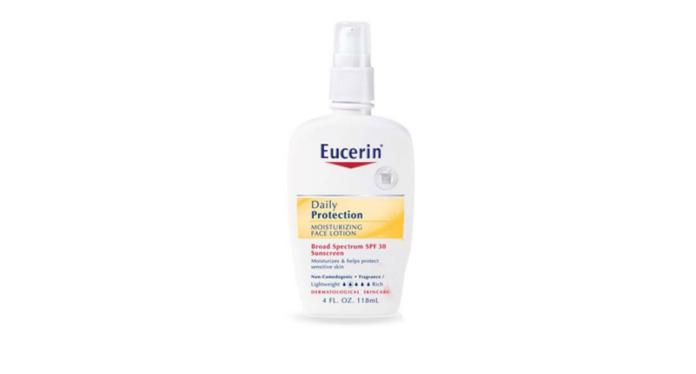 Eucerin Daily Protection Face Lotion with SPF comes in a 4oz container. Which is at least an ounce more than all the other products on our list. It also comes at a more affordable price than most as well. 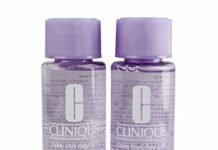 Since this is a lightweight and oil-free moisturizer, you will only need one pump to cover your whole face. 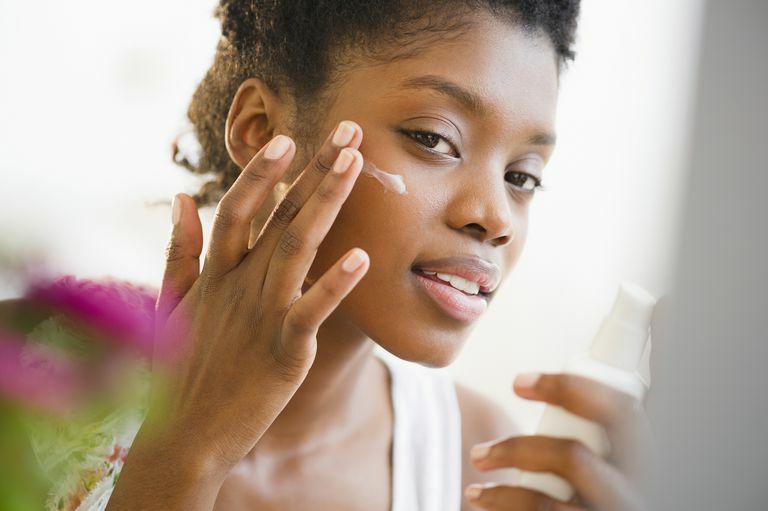 Being an oil-free moisturizer, it will not make your skin greasy after use because it absorbs quickly. It will work for pretty much any skin type. It is clinically proven safe for sensitive skin and dermatologist recommended. 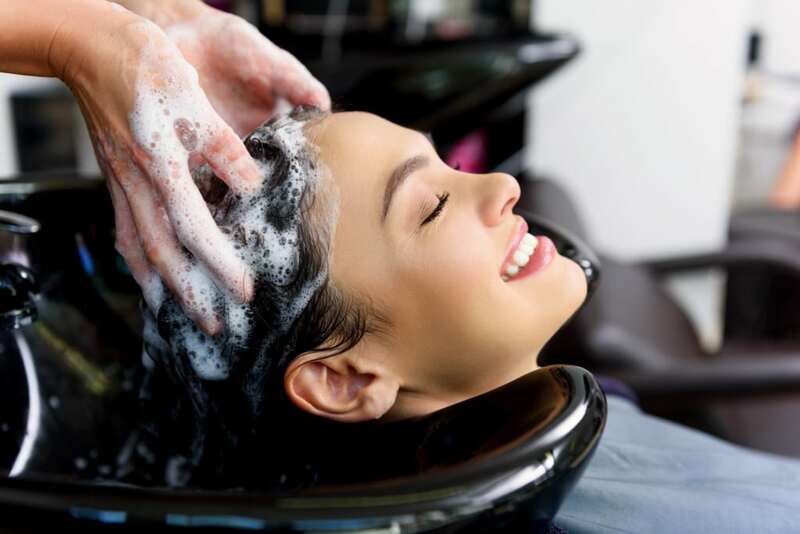 The fact that it is fragrance free plays a huge role in that aspect of the product. By using Eucerin, you can protect, repair, and enhance the health of your skin with 24-hour hydration. The SPF 30 will protect your skin against dangerous UVA/UVB rays that can cause skin damage and skin cancer. It can be really hard to pick a product without knowing everything about it. At least for me. My mom always taught me it was super important to do as much research as possible. It helps you know what to expect and whether it suits your needs best. It also saved me from wasting my money plenty of times! So I took that advice and ran with it. I tend to go a little overboard when it comes to research. But while I’m listing all the details, I want to share them with you so you can have as much information as possible! Here are all the best features of this product! Eucerin provides you with 24-hour hydration. This is perfect if you have very dry or combination skin that can be dry certain times of the year. It will play a huge role in repairing your skin and bringing it back to health. It comes in a 4oz container, which is a larger size than many of the other products on the list. It will also only take you a single pump to cover your whole face. So it will definitely last a long time! Along with being a larger size than most, it is also very affordable. So not only will it last you a long time, but you won’t need to buy it so frequently! The addition of Broad Spectrum SPF 30 will protect your skin from UVA/UVB rays. This is very important for everyone. Frequent sun exposure can cause a lot more damage than you might think. Even while traveling in the car or on a cloudy day. So by using this you can lower the risk of sun damage and the risk of skin cancer. This product has been clinically proven safe for sensitive skin. That can be hard to find in skin products. 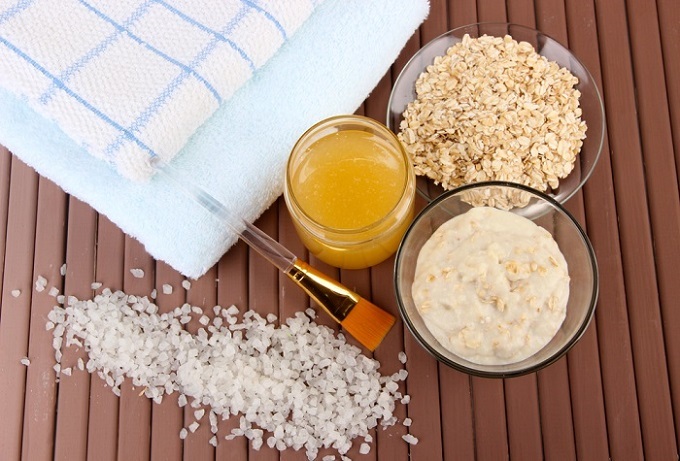 So many different ingredients can affect sensitive skin. So while this is a wonderful benefit, there is always a risk because it is so hard to make one product that will work for everyone. But the chances of it working out is much higher with a product tested so carefully like this one! One of the reasons this product is so good for sensitive skin is because it is fragrance free. Added scents can make products unuseable for some people. They can have a reaction to the scent which is a major problem. But since this is fragrance free, a lot more customers can use it! Eucerin created this product as an oil-free moisturizer that will work for any skin type. Many other products can make your skin greasy in the end. The added oils won’t exactly work wonders on already oily skin. This is the perfect product for very oily skin because it won’t contribute to the problem. Since it is oil-free, it will absorb quickly into your skin. I always like to see this in a moisturizer because I hate having to wait around. When I’m on the go in the morning, I don’t want to have to wait forever until my moisturizer soaks in before I apply my makeup. This actually works well as a primer before you put on makeup so you have an added barrier that the makeup can go on top of. 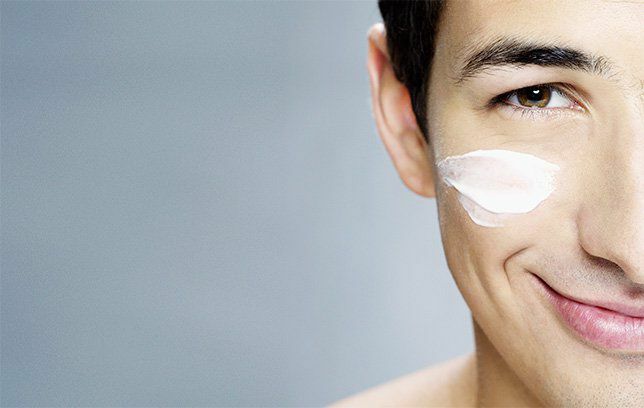 It is also non-comedogenic to lessen your chances of breaking out from clogged pores. Eucerin is recommended by both dermatologists and the Skin Cancer Foundation! It is a very trusted brand who takes care while making their products. Many customers appreciated this product for its many important benefits. It can be hard to find something that will work for any skin type. I know quite a few people who avoid wearing makeup because their skin is too dry and their foundation tends to look cakey. The real issue is the fact that they don’t really moisturize. I’ve had that problem as well. Sometimes it doesn’t seem to matter how much I moisturize, the winters can be rough on my skin either way. But Eucerin provides 24-hour hydration that many people adored. It gave them a better chance of repairing their skin. Not to mention the benefit of also being able to use it as a sunscreen! If you don’t tend to moisturize, you probably don’t protect your skin from the sun as much as you should either. At least I don’t. A lot of customers loved being able to accomplish both with one product! Every product has its pros and cons. I can give you all the facts to make the best decision, but I can’t choose for you. But if you decide this isn’t the right product for you, I totally understand! In case you’ve read this review and still want to look around and find something else, I also have alternative options for you! Each product is unique and every customer is too. So here are 3 alternative options and I hope you have luck finding the right one for your skin! Neutrogena is a fantastic brand that most of us have used at one time or another. If you are looking for a sunscreen with a higher SPF, this might be perfect for you. It contains helioplex technology, which is supposed to be a more reliable type of sunscreen. It is a broad spectrum SPF 55 which is perfect for anyone who burns easily. Among many other benefits it is affordable, absorbs quickly, and is water resistant! This is perfect for people with very fair or mature skin! Both of which need the higher level of protection that this provides. This absorbs quickly and contains dry touch technology and is supposed to be ultra light. 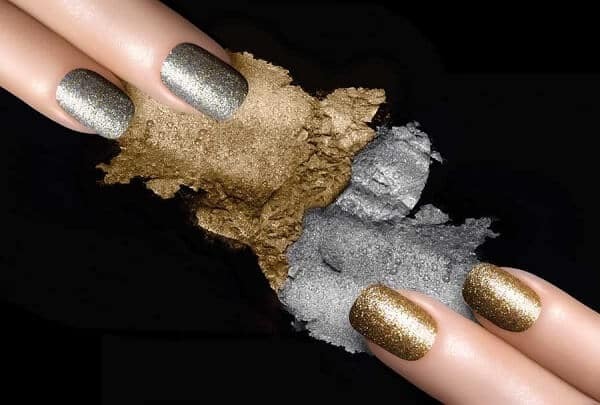 It also has a matte and shine free finish. It makes it much easier to use with makeup, which is something I look for in a skin product. This may also be a great for all skin tones. Many liked this product because it did not give their darker skin tone a grey cast. If you’d like to learn more about the product, I highly recommend reading the full review! If you have been on the search for higher SPF and a matte finish, this could be right for you. Neutrogena is a highly recommended brand. This one in particular works for all skin tones and is great for mature and fair skin. Protecting your skin is very important and this will do the trick! If you are interested in Neutrogena Ultra-Sheer Dry-Touch Sunscreen, you can find it on Amazon. If you are definitely interested in an anti-aging moisturizer, this is one you might like! You get the same amount for a slightly higher price, but this is a 7-in-1 product packed full of skin benefits. This is another trusted brand that so many people love. The nourishing moisturizer gives you smooth and even skin texture. It also minimizes pores and gives your skin a healthy looking radiance. All while reducing the appearance of age spots, fine lines, and wrinkles and balancing your skin tone. Not to mention it exfoliates to enhance your skin’s natural self-renewal process! The many benefits of this product are better explained in our full review, but I think you get the idea! This is perfect for pretty much any skin type! It is packed full of benefits to heal, moisturize, and protect your skin. By improving the health of your skin, it will also improve the look and feel. I have always had small pores, but they are larger on my cheeks. When I apply my makeup, it’s hard to give myself a very soft and smooth appearance. The fact that this minimizes the appearance of pores and moisturizes dry skin will give me a better canvas for my makeup! While this might not be the cheapest moisturizer, I’d say it’s worth the money. It is anti-aging, moisturizing, and contains broad spectrum SPF 30 to protect you from further skin damage! It improves the texture of your skin, minimizes your pores, and exfoliates to improve your skin’s natural self renewal. So not only does it take care of your skin, but it also helps your skin take care of itself. If you’re interested in something like this, you can find Olay Total Effects 7-in-1 Anti-aging Face Moisturizer with SPF, on Amazon! This might not be an anti-aging product, but it will certainly give you a lot of the same benefits! I haven’t come across too many products that even skin tone. Customers seem to be in love with this product because it gets rid of age spots so effectively! It’s the same size, but a little more expensive and no one seemed to mind a bit. This is a go-to product for people with oily or combination skin. If you’re interested, you can check out our review or try it yourself! You can find Aveeno Positively Radiant Daily Facial Moisturizer, on Amazon! I understand the struggle of having complicated skin. I haven’t ever been very acne prone but we all go through it at one point or another. My issue comes with combination skin that has different needs at different times of the year. Winter can be really hard because my skin can dry out so easily. I also have issues in the summertime because I hate sunscreen. It is so oily and makes my skin greasy. But Eucerin Daily Protection is definitely something I’m interested in trying because it helps with all my problems. It is an oil-free and non-greasy product. It also contains SPF 30 to protect my skin while giving me 24-hour moisturization that I need desperately! If you don’t want to take a recommendation from me, it is also backed by dermatologists and the Skin Cancer Foundation! 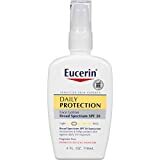 So if Eucerin Daily Protection Face Lotion with SPF is something you’re interested in, you can find it on Amazon! For more information, check out the rest of our spf moisturizer reviews.